thorny candidates could be the wildrose party’s biggest liability. 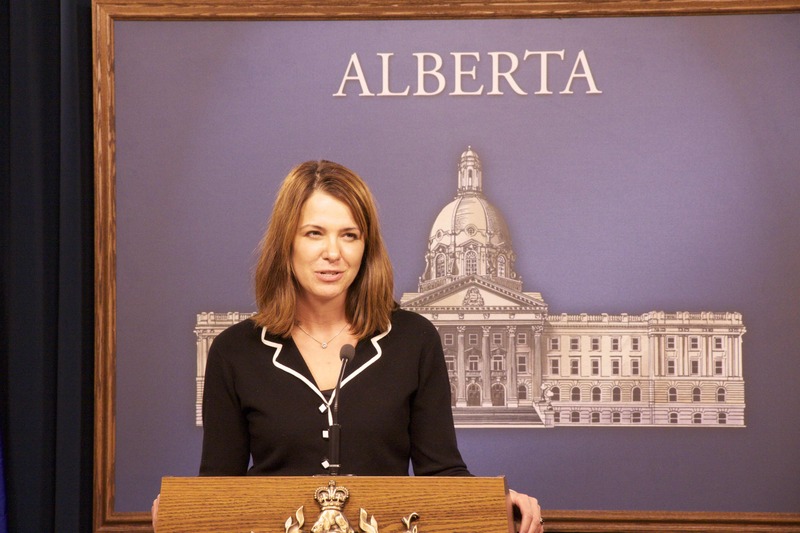 As the face of the campaign, Wildrose Party leader Danielle Smith is her party’s biggest asset. She is media savvy, personable and, despite her limited governance experience (one year as a trustee on the dysfunctional Calgary Board of Education), she talks about becoming Premier with more confidence than any opposition leader in a long time. But looking beyond the high-profile face of the Wildrose Party, which polls from the first week of the campaign suggest could be poised to form government, Albertans should be asking important questions about who would serve as cabinet ministers in a Wildrose Party government? The Premier is only one person at the table. Which Wildrose candidate would serve as Minister of Justice, Minister of Education, Minister of Finance, and Minister of Health? The recent success of the federal NDP in Quebec provides a textbook example of why any party should take seriously the candidates it nominates to run under its banner, even if it does not look like they might form government at the time. 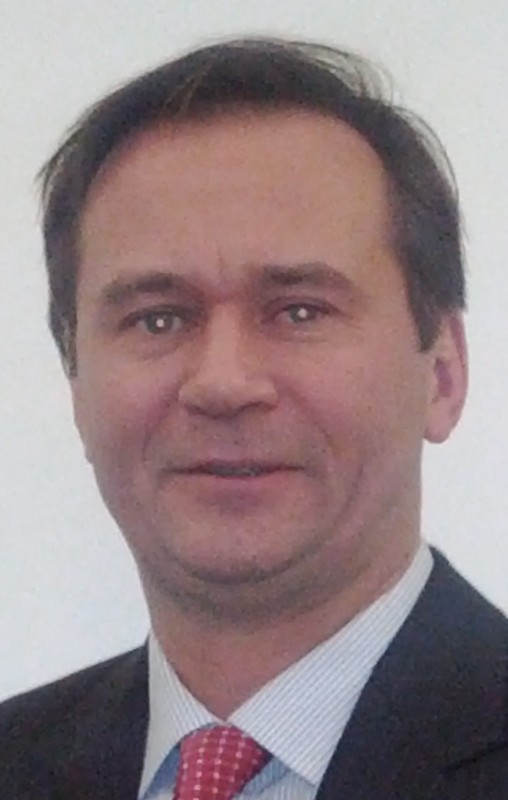 – Calgary-Lougheed candidate John Carpay penned an opinion-editorial in the National Post in 1994 which criticized Premier Ralph Klein for not invoking the Notwithstanding Clause to block the Supreme Court decision forcing Alberta to include protection of homosexuals from discrimination. More recently, Mr. Carpay defended the University of Calgary Campus Pro-Life Club and was part of the legal team which defended anti-gay activist Bill Whatcott against charges in Saskatchewan. (Mr. Whatcott was recently detained by the police for distributing anti-gay hate literature to homes in northwest Calgary). – Calgary-Greenway Wildrose candidate and evangelical pastor Ron Leech penned an article in the Calgary Herald in 2004 which argued “to affirm homosexuality is to distort the image of God, to insult the nature and being of God.” Perhaps this fits with Ms. Smith’s ideas on conscience rights (which has angered at least one now former Wildrose supporter). 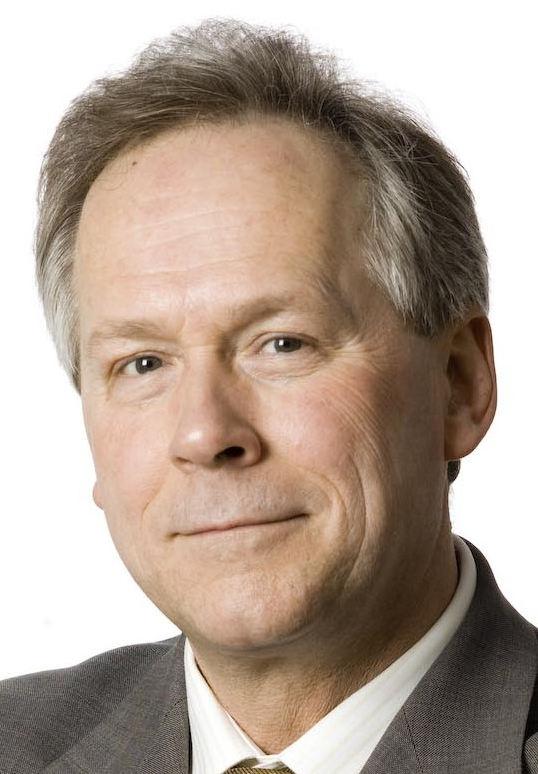 – Edmonton-South West candidate Allan Hunsperger is the self-described pioneer in the establishment of Alberta’s private schools in the late seventies and founder of Heritage Christian Schools. – Edmonton-Glenora candidate Don Koziak‘s short-lived mayoral bid in 2010 was kicked off by a promise to halt LRT expansion, calling the public transit “enormously environmentally unfriendly.” When asked what he would do differently, Mr. Koziak trumpeted the construction of more “interchanges and wider roads.” Toronto Mayor Rob Ford would be proud. 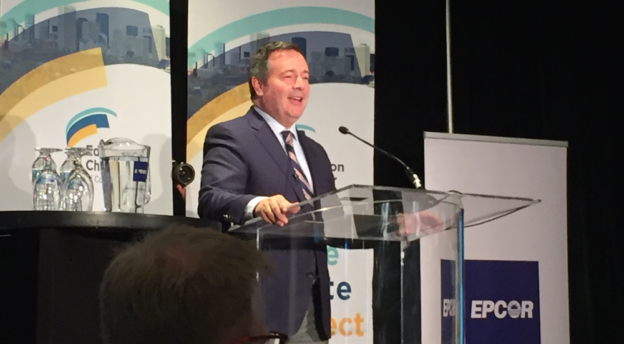 – Edmonton-Castle Downs candidate John Oplanich, kicked off his campaign by offering to raffle a free big screen televisionto voters who would support him. – A number of Wildrose candidates running in Edmonton constituencies have indicated over the past year that they would re-open the acrimonious City Centre Airport debate, even though elected City Councillors have already made the decision to phase out operations of the tiny downtown airport. 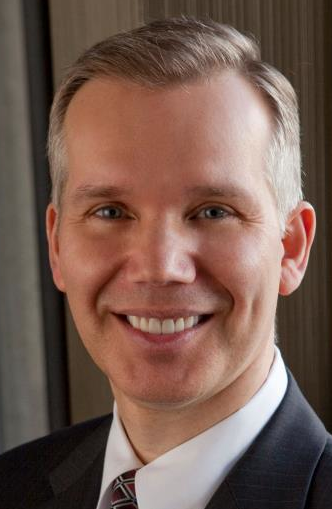 – As I have already written, a few Wildrose candidates from Calgary have strong connections with controversial Conservative MP Rob Anders. This includes Calgary-West candidate Andrew Constantinidis, who served as Mr. Anders’ local constituency president and media coordinator during the 2011 federal election. 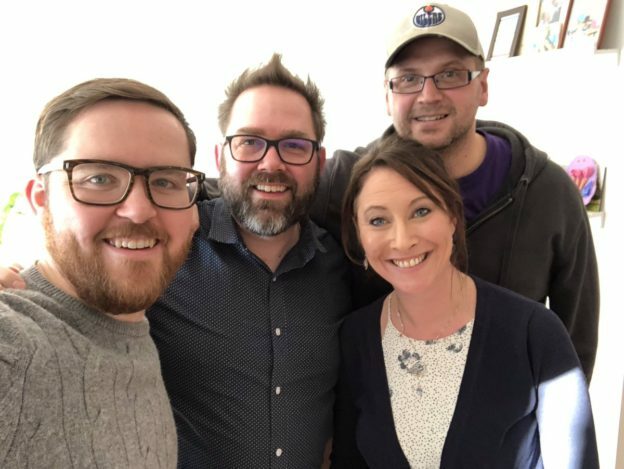 These are the highest profile stories around these candidates, the truth is that outside of Ms. Smith and the four established Wildrose MLA’s running for re-election, surprisingly little is known about the party’s candidates. And the Wildrose Party has done a superb job of focusing the media’s and voters attention on what they want, namely Ms. Smith and ensuring that she, rather than their candidates are the ones making headlines. This entry was posted in Alberta Politics and tagged Allan Hunsperger, Andrew Constantinidis, Danielle Smith, Don Koziak, John Carpay, John Oplanich, Link Byfield, Rob Anders, Rob Ford, Ron Leech on April 4, 2012 by Dave Cournoyer. This email landed in my email inbox today. The Wildrose Alliance has nominated eight candidates for the next election (only 79 candidates away from a full-slate). 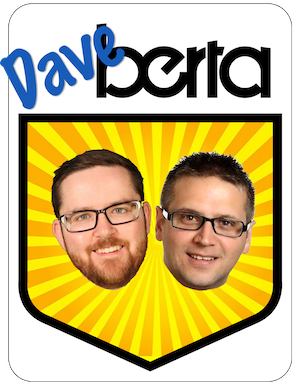 As far as I am aware, the only other party to have nominated a candidate for the next election is the NDP, who have nominated Deron Bilous in Edmonton-Beverly-Clareview. • John Carpay in Calgary – Lougheed. John practices law in Calgary. 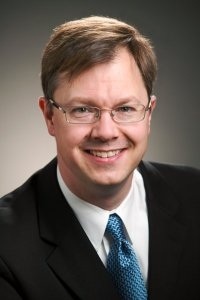 He is the former Executive Director of the Canadian Constitution Foundation and the former Alberta Director of the Canadian Taxpayers Federation. • Harpreet Nijjar in Calgary – Northern Hills. Harpreet, a graduate of the University of Calgary, is an award winning young entrepreneur who runs an insurance brokerage. • Shayne Saskiw in Lac La Biche – St. Paul – Two Hills. Shayne, a graduate of the U of A, practices law in north eastern Alberta and was a former VP Policy for the Alberta PCs. • Milvia Bauman in Medicine Hat. Milvia is an entrepreneur and community leader in Medicine Hat. She is currently the Chair of the Medicine Hat Chamber of Commerce and Medicine Hat Safe Community Association. • Danny Hozack in Vermillion – Lloydminster. Danny farms in Streamstown Alberta. 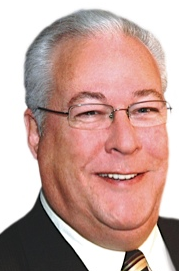 He is a long time conservative activist and has served on the boards of the Alberta Beef Producers, the Canadian Cattlemen’s Association, and Marwayne Minor Hockey. 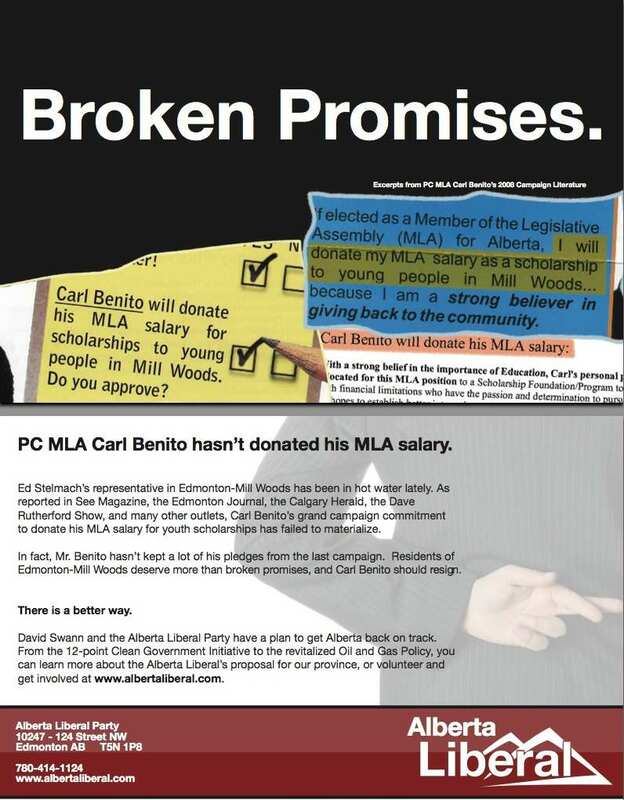 This entry was posted in Alberta Politics and tagged Danny Hozack, Deron Bilous, Harpreet Nijjar, Heather Forsyth, John Carpay, Milvia Bauman, Paul Hinman, Rob Anderson, Shayne Saskiw on September 10, 2010 by Dave Cournoyer. wildrose seeks bailout for private health clinic. 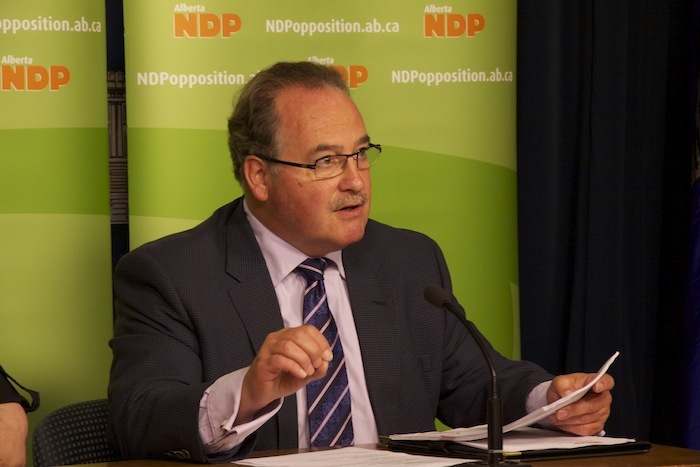 Alberta NDP leader Brian Mason at yesterday's media conference. Yesterday in Edmonton, NDP leader Brian Mason joined retired health care aid Loretta Raiter as she described how funding cuts to long-term care have affected the quality of living for seniors at Salem Manor in Leduc. According to Mrs. Raiter, the funding crunch was so bad that People were sometimes given powdered meal replacements instead of real food and some patients ended up sitting for hours in soiled diapers. It is shameful and embarrassing when short-sighted financial decisions are put ahead of human dignity and quality of care. An hour earlier in Calgary, Wildrose Alliance leader Danielle Smith stood with the operators of a bankrupt private health clinic and accused Alberta Health Services of reneging on a deal with the facility. Ms. Smith then called on Health & Wellness Minister Gene Zwozdesky to intervene by using taxpayers dollars to prop up the private clinic which is stuck in a $65 million financial hole. In May 2010, Alberta Health Services stepped in to stop the bankruptcy proceedings and pay for the costs of a receiver to keep the centre operating in the interim. Alberta Health Services has many faults, but in this case they made the responsible decision by seeking to bring the staff and services of the private health clinic back into the public system. The Wildrose Alliance has drawn a line in the sand on this serious policy issue by standing in favor of increased private health care. 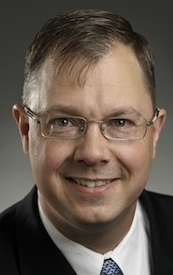 In a recent letter to the Calgary Herald, Wildrose nomination candidate John Carpay decried the public system and called for increased private-for-profit health care where Albertans wallets are responsible for determining their quality of service (interestingly, in a more recent letter he criticized the PCs support of “corporate welfare”). 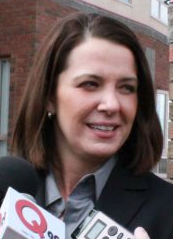 Wildrose Alliance leader Danielle Smith at a January 2010 media conference. Mr. Carpay finds himself squarely on the opposite side of public opinion according to a recent Ipsos-Reid poll which showed that less that 10% of Albertans would support more opportunities to pay for health services out of their own pockets. I understand that Mr. Carpay does not speak for his party, but as a candidate (and potentially a future MLA or cabinet minister) he will help shape his party’s position on health care. The Wildrose Alliance has shown Albertans that they are not only prepared to stand with private health care operators, but that they are also prepared to use taxpayer dollars to bail them out when faulty business plans go awry. 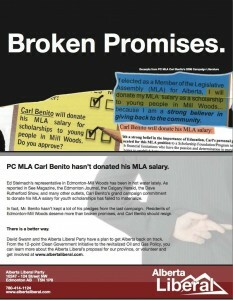 Related post: David Climenhaga dissects this move by the Wildrose Alliance. This entry was posted in Alberta Politics and tagged Brian Mason, Danielle Smith, Gene Zwozdesky, John Carpay, Kevin Taft, Loretta Raiter on August 20, 2010 by Dave Cournoyer.